Below you fill find all funeral homes and cemeteries in or near Louisburg. Louisburg is also known as: Miami County / Louisburg city. Zip codes in the city: 66053. It was disclosed by Star-News on December 9th, 2018 that Andrew "Andy" Troll died in Southport, North Carolina. Troll was 90 years old and was born in Louisburg, KS. Send flowers to express your sorrow and honor Andrew "Andy"'s life. It was disclosed by Topeka Capital-Journal on December 12th, 2017 that Roger Dean Everitt passed away in Louisburg, Kansas. Everitt was 77 years old. Send flowers to express your sorrow and honor Roger Dean's life. It was revealed by Hutchinson News on December 3rd, 2017 that Melva Joan McConnell (Hogg) passed away in Louisburg, Kansas. Ms. McConnell was 85 years old. Send flowers to share your condolences and honor Melva Joan's life. It was noted by Hutchinson News on July 15th, 2017 that Donald Goodfellow Davis perished in Louisburg, Kansas. Davis was 91 years old. Send flowers to express your sympathy and honor Donald Goodfellow's life. It was noted by Topeka Capital-Journal on June 18th, 2017 that Jackilyle R Brown died in Louisburg, Kansas. Brown was 89 years old. Send flowers to express your sympathy and honor Jackilyle R's life. It was revealed by Topeka Capital-Journal on March 9th, 2016 that Maxine Marie George (Erwin) passed on in Louisburg, Kansas. Ms. George was 85 years old. Send flowers to share your condolences and honor Maxine Marie's life. It was noted by Louisburg Herald on February 23rd, 2016 that Sharon Lynne Potter (Black) passed away in Louisburg, Kansas. Ms. Potter was 78 years old and was born in Salt Lake City, UT. Send flowers to express your sorrow and honor Sharon Lynne's life. It was disclosed by Louisburg Herald on February 17th, 2016 that Sharon Lynne Potter (Black) perished in Louisburg, Kansas. Ms. Potter was 78 years old and was born in Salt Lake City, UT. Send flowers to express your sorrow and honor Sharon Lynne's life. It was written by Louisburg Herald on January 5th, 2016 that Edna Jean Kircher (Maynard) passed away in Louisburg, Kansas. Ms. Kircher was 76 years old. Send flowers to express your sympathy and honor Edna Jean's life. It was noted on January 4th, 2016 that Mary Elizabeth "Granny" Miller (Wells) passed away in Roaring River, North Carolina. Ms. Miller was 91 years old and was born in Louisburg, KS. Send flowers to share your condolences and honor Mary Elizabeth "Granny"'s life. The population was 2,576 at the 2000 United States Census census. 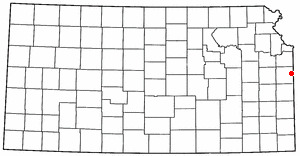 Louisburg is a city in Miami County, Kansas County, Kansas, United States. . . . The official website for the city of Louisburg is http://www.louisburgkansas.gov. Find funeral directors & Funeral Directors in Louisburg, KS. Read business reviews, find driving directions, and more. funeral directors on YELLOWPAGES.COM. Listing all funeral homes in Louisburg, Kansas so you can easily send flowers to any location (same day delivery) or find any funeral service. Find a map, directions and more for Runyan Funeral Home in Louisburg, KS. We work with local florists and flower shops to offer same day delivery. You will find budget sympathy flowers in Louisburg here. Our funeral flowers are cheap in price but not in value.